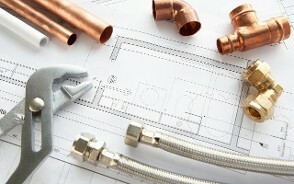 Protect you and yours with liability insurance from the leaders in insurance, PlumberInsurance.com. Safeguard your business and employees with commercial auto and health insurance, from the preferred choice in the industry. Monday — Friday, 9 a.m. — 5 p.m.
Look no further than PlumberInsurance.com of Stockbridge, Michigan, for your essential commercial insurance provider. In business for more than 60 years, we provide protection for plumbers and plumbing companies, such as worker’s compensation, bonding, and employee retirement plans. We are a division of InsuranceMichigan.com™ and Abbott & Fillmore Agency, Inc.™. Our company represents and offers several different quality insurance carriers to ensure that you are receiving a competitive rate and the protection that you deserve. We have many experienced licensed agents available to help. However, we are small enough that our customers know our names. Contact our commercial insurance provider in Stockbridge, Michigan, to request a quote for top-notch services.